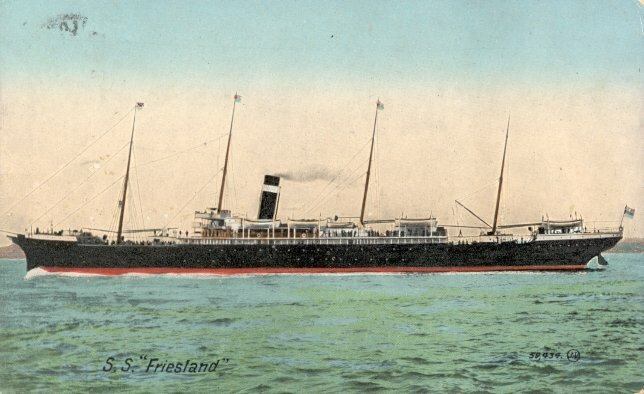 Friesland was built for the Red Star Line by J. & G. Thompson of Glasgow. Launched in August 1889, she was the only clipper-bowed ship ever built for Red Star, but she was also the first Red Star Ship to be powered by triple expansion engines. She made her maiden voyage from Red Star's European base, Antwerp, to New York on 7 December 1889. She remained on that service until January 1903, when she was transferred to the American Line, which like Red Star was part of the International Mercantile Marine Co. combine. 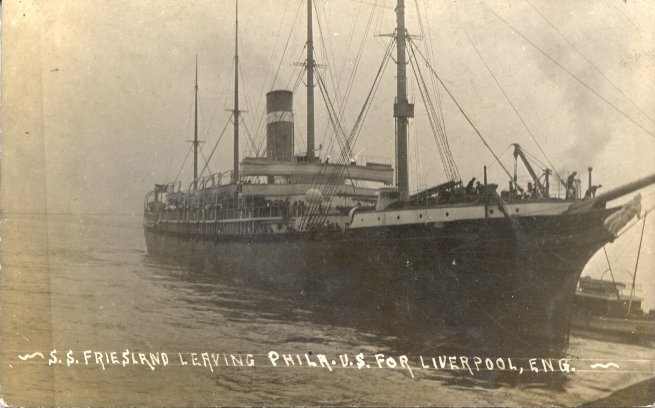 She took her first American Line sailing, Liverpool to Philadelphia, on 25 March 1903. 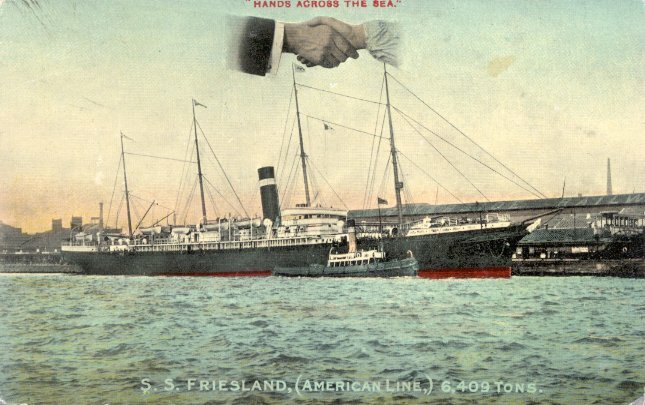 Friesland made her last American Line sailing in May 1911. She was then sold to Italian interests and renamed La Plata, but was scrapped only a year later. Sources: Finch's The Red Star Line; Bonsor's North Atlantic Seaway; Haws' Merchant Fleets in Profile.